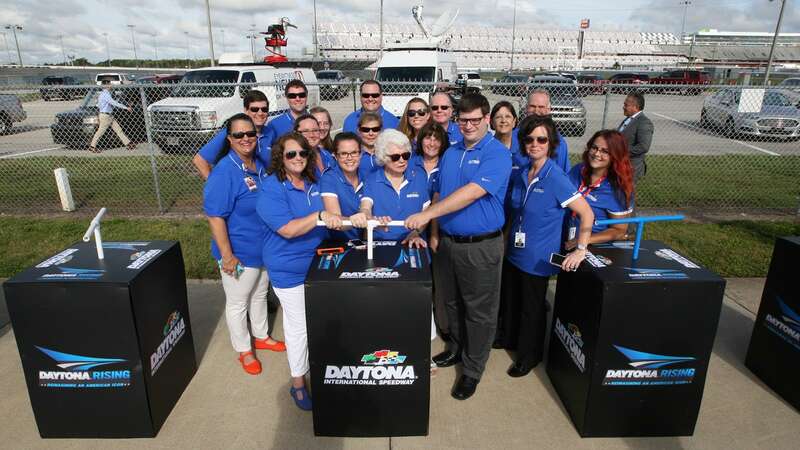 Another part of iconic Daytona International Speedway is falling as part of the $400 million Daytona Rising renovation project. 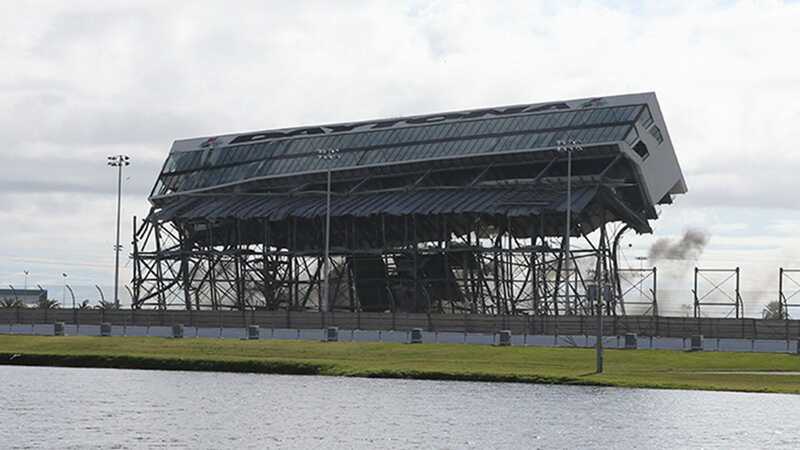 On Monday, the 140-foot tower on the track’s backstretch was blasted with explosives. 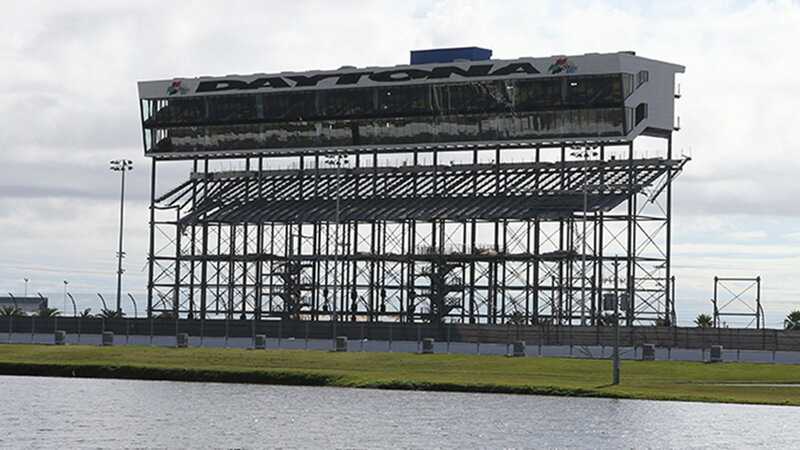 Here’s another view of the demolition from Daytona International Speedway’s Twitter account. 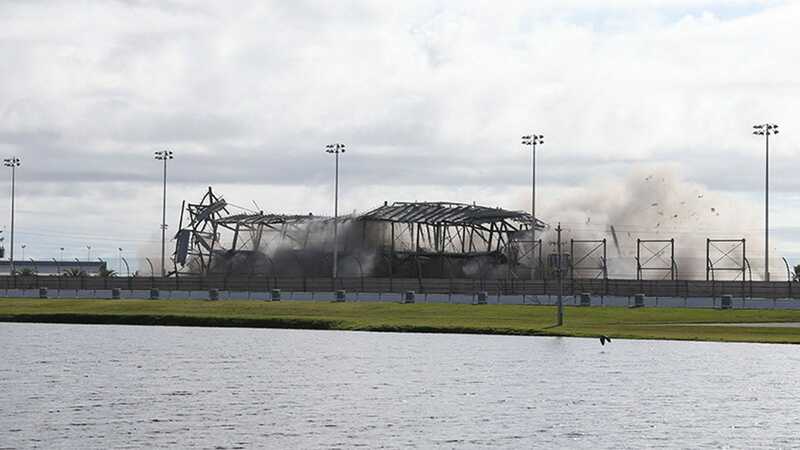 Thirty-three pounds of copper-sheathed, linear-shaped charge explosives were used to bring down the steel tower.